"Matt Zahn not only sold my home at the price I wanted but he also found me the perfect place at the price I wanted. Always available, goes above and beyond. If you're looking to buy or sell. I would definitely use Matt Zahn!" Bought and sold a Single Family home in 2017 in Grand Blanc, MI. "Great job. Marketed our house well and sold significantly over asking. Also very responsive and flexible when we wanted to look at a home. Aggressive to ensure our bid on a home was accepted." Bought a Single Family home in 2017 in Burton, MI. "Matt is a super down to earth person, and is entirely professional. He was able to find us the perfect home in a time where the selling market was off the charts. He was always on time when we went to go look at homes and never once pushed a home on us. Matt always sent homes to my email making sure my options were vast and was super easy to contact. 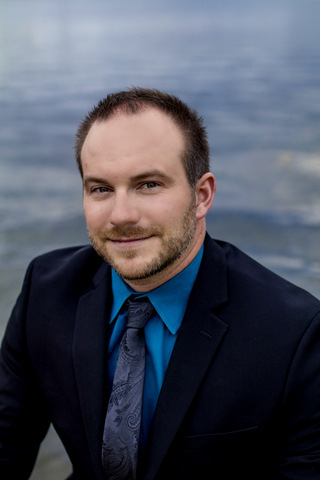 If you're looking for a realtor who's consistent and confident, Matt Zahn is that guy!" "Matt Zahn was very professional and attentive while finding me a house in just a COUPLE of days. As a first time homebuyer, he took the time to explain the entire process and things to be aware of when buying/negotiating on a house in the current market. This shows how knowledgeable he is on the real estate industry through his past experience. He is clearly able to translate past knowledge to his current listings. And while he may not have had many listings in the area I was looking, he was able to quickly learn up on the market and run a market analysis for my desired location. He was also VERY responsive and ALWAYS available and willing to answer any questions I had to ask. He's heard it all and is very well rounded. He takes the time to understand the buyer's situation and keeps their best interest in mind throughout the entire process. I would HIGHLY recommend using Matt Zahn because he is responsive, very knowledgeable of the industry and found me a house!!" "Matt went above and beyond our expectations. His knowledge and professionalism are exemplory! I would recommend Matt above anyone else to help with all your realtor needs. He was able to explain the process of buying and selling a home with specifics to taxes for Grand Blanc City compared to the township, homeowner association fees for Riverbend West subdivision, and provided details of closing process and we got closer and closer to the date. He was with us every step of the way and answered all the questions at closing we could have. Even after the sale he has been there to answer any further questions and keep in contact with the agent for the buyers of our previous home to coordinate a glass install. Matt is the best!" Bought a Single Family home in 2016 in Clarkston, MI. "Matt Zahn was very focused on finding the perfect home for us from the start. When we first sat down with him, we had a lot of areas we were looking at for our new home, and he worked hard to find multiple options for us in each town/city that were in our budget and had the key elements we were looking for. He also made himself very available to go see houses with us, and gave us insight as to what to look for and consider when buying a house. When we did want to make an offer, he was expedient in drawing up the paperwork, and worked hard to make the process seamless and easy on our end. We couldn’t have asked for a harder work ethic and attention to detail in a real estate agent, and would highly recommend him to anyone." Sold a Single Family home in 2008 in Grand Blanc, MI. "Matt is highly professional. A savant on all matters related to real estate. He has handled several high profile sales for me and completed them with great effectiveness. A++ - highly recommend. Matt has bought and sold multiple homes for me. His leadership in sensitive situations is nothing sort of high class. Our relationship dates many years and I fully endorse him." Bought a Single Family home in 2013 in Grand Blanc, MI. "I want to give Matt Zahn my biggest recommendation for the outstanding work and assistance he provided to me and my family in the search for and in the closing of our new home! Matt is someone who I would be proud to recommend to my co-workers, closest friends and my family members. The work that Matt put in to our real estate deal, a deal that only got more complicated and challenging as we got closer to closing, I just cant say enough about how he truly made it happen, no matter how big the obstacle. I will always be grateful to Matt and feel that in a process that can be so difficult, we are lucky to have had Matt on our side. Thanks Matt!" "I had the privilege of working with Matt as my realtor when looking to purchase a home in the Grand Blanc area. Matt’s knowledge about real estate is multi-faceted and he is most certainly able to do more than the average agent. I appreciated his patience and ability to advise me on location as well as his attention to detail and knowledge of what to look for in a quality built home he was there to help and support me in every possible way possible. I wouldn’t hesitate to recommend Matt to any person who is looking to buy or sell a home as well as seek his service in any of my future real estate transactions." "Buying your first home and not knowing all the in's and out's can be really scary & frustrating. Matt eliminated the anxiety during my home buying process. He excelled setting up accurate expecations and a timeline of events. We all hear the stories that buying a house is stressful. Every homeowner runs into some hurdle when purchasing their home, as did I. These are usually situations that are out of our control. To me, a great real estate agent is able to hold your hand and reduce that emotion for his clients. Matt did just this for me and anticipated these and prepared me with the correct action to take to keep the process moving forward. Matt exuded the persistence, professionalism, knowledge, and negotiation skills that I needed to close on my "dream" home in a timely fashion despite hurdles. Matt Zahn is truly an exceptional agent that you can trust, that goes above and beyond for his clients."